In a partnership with us, it is key to remember that you are the business expert and we are the marketing experts. We are perfectly familiar with all facets of our industry and we are always working every single day to better your business.  Let us take care of Google AdWords and all of your other marketing needs. After all, we would never tell you how to treat your customers. Never heard of Google’s AdWords service? Never fear – we have here at SEO Company OC. AdWords is a Google service made for businesses wanting to display ads on Google’s network of advertising. We’ve all typed in some key search terms on Google and seen the first five or so hits with the little “ad” square underneath the link. The important thing to note here is that these are the FIRST hits – the ones that are most likely to be looked at and clicked on. The major point of attraction for Google AdWords is that the program requires businesses to set an advertising budget that will only be paid out when their advertisements get clicked on. How does it work? Well, it’s fairly straightforward. Google AdWords operates primarily on key terms. The ads that pop up when a search is entered are always related to the word or combination of terms that were searched. This is why it is important to be sure that your company’s site has all the necessary key terms sprinkled throughout its pages. Having a multitude of the commonly searched terms associated with your field will give your site a top hit position on Google, as well as an extra boost with the AdWords service. 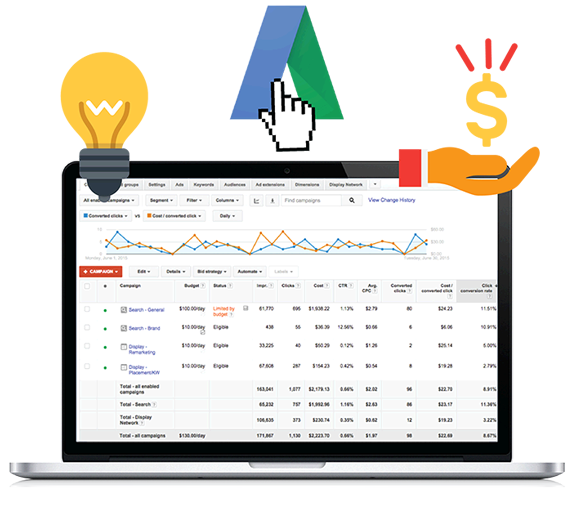 The team at SEO Company OC knows all of the ins and outs of operating Google AdWords, and we are sure to help you optimize your ad power.